It’s great that you’re thinking of joining us! 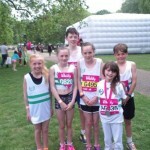 Wirral AC welcomes new members of all ages from 8 upwards. You are welcome to take part in some sessions with the club before applying to become a member. For more information please contact Anne annewirralac@gmail.com. Athletes in the under 13’s groups can pay £2 per session if they have not joined the club. Athletes in older age groups who wish to attend coaching sessions or use the track on club nights must be members of Wirral AC. Club membership costs £7/month for both juniors and adults, and is payed by monthly direct debit only*. We also require newly joining members aged 11 and over (except second claim) to please pay a one-off fee of £17 to allow us to pay your England Athletics (EA) membership (£15) and Northern Athletics affiliation fees (£2) for the year when you join. After that, these fees are paid by the club from your membership fees. We offer a family membership for 3 or more members who are resident at the same address. This is priced at £19.50/month plus the one-off £17 affiliation fee for each member aged 11 or over on joining. Concessionary membership is available for those unable to pay the full membership fee; please contact the membership secretary for details. Students who are living away from home and unable to regularly access the club are entitled to the concessionary fee of £44 for the year, including affiliation fees, on provision of a valid student card. Please contact the membership secretary to arrange. 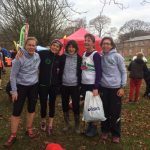 The benefits of membership include unlimited training sessions with our qualified coaches, unlimited track use on club nights, use of our club house and changing facilities and entry into many leagues and races. And of course, the opportunity to enjoy competing with and supporting your fellow club-mates. 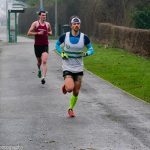 We also have a club facebook page and a regularly updated blog so we all know what is going on in the club and can share each other’s success at whatever level…county selection, a new 800m PB or your first 10k race. And it’s important to remember that we ARE the club. 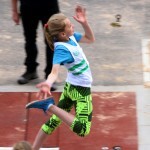 As an amateur athletics club, we are non-profit making and run entirely by volunteers. The membership form includes an option to offer your services to help the club in whatever way you can. We now accept membership on-line only*. Please click on the green button below to access our on-line membership system. *For those unable to access the on-line membership system we offer a yearly payment by cheque or bank transfer. Please use the on-line system if you possibly can, it cuts down on admin time for our unpaid volunteers.